▶ Videos for "Floyd Mayweather"
Conor McGregor says he owes Nate Diaz a third fight -- purely out of respect -- and states definitively, "the trilogy will happen." Domestic violence offenders are banned from traveling to Australia. Veuer's Mercer Morrison has the story. Tyga had a pretty tough weekend. After getting his leased Maybach repossessed, the "Rack City" rapper was not only asked to "Dip" from Floyd Mayweather's birthday party, he was tossed out 'Jazzy Jeff'..
Last night (February 23), Floyd Mayweather’s 42nd birthday bash wasn’t the greatest of times for Tyga. For the full story on Tyga check out..
T.I.’s longstanding issues with Floyd Mayweather have resurfaced. 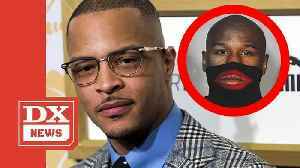 Tip is taking aim at the undefeated boxer in a new diss titled “F**k Ni**a.” For the full story on T.I. and Floyd Mayweather.. Longtime Floyd Mayweather rival 50 Cent doesn’t need much of a reason to taunt the undefeated boxing legend. For the full story on 50 Cent check out..
Floyd Mayweather gave his neck a workout at the Clippers vs. Warriors game at Staples Center on Thursday ... busting out 4 HUGE GOLD CHAINS to floss in front of a star-studded crowd. Mayweather --..
Errol Spence Jr. joins Jason Whitlock and Marcellus Wiley following his unanimous decision win against Mikey Garcia. 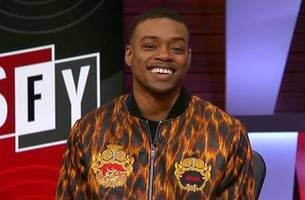 Spence explains why he should fight Manny Pacquiao next and if there would ever be a..
Errol Spence tells TMZ Sports he's ready to take Floyd Mayweather's place as the #1 star in boxing -- saying, "I'm next up to be a superstar icon." Spence is 24-0 and headlining a massive PPV fight..
Floyd Mayweather is finding new ways to get at Conor McGregor -- this time, he's mocking the UFC star's Miami meltdown by BEGGING paparazzi to shoot him in Beverly Hills. Remember, McGregor was..
Floyd Mayweather has 8 more years to beat the hell out of Conor McGregor, that's according to boxing champ Shawn Porter who says Floyd is so much better than Conor, he could beat him at 50!!! 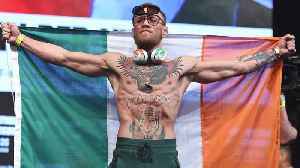 McGregor..
Conor McGregor wants another crack at Floyd Mayweather -- saying bluntly, "A rematch will be interesting no doubt." The Irish superstar spent his Tuesday night breaking down some of his greatest fights..
Canelo Alvarez says he's dead serious about setting up a rematch with Floyd Mayweather -- and his promoter, Oscar De La Hoya, says Floyd has more than a BILLION reasons to make it happen. "If Floyd..
G.O.A.T. vs. G.O.A.T?!?!? It's possible ... with MMA legend Demetrious Johnson telling TMZ Sports he's down for a 3-round boxing match with Floyd Mayweather. First off, DJ says Floyd is the one guy..
Jon Jones tells TMZ Sports he wants to be the first MMA fighter to finish his career with a 50-0 record -- becoming the Floyd Mayweather of the sport -- and he's 100% confident he can do it. First..
Ryan Garcia (17–0, 14 KOs) is considered to be Oscar De La Hoya's top boxing prospect. Oscar De La Hoya says "REAL" boxing promoters don't tamper with other fighters -- and says, if Floyd Mayweather wants to set up a fight with Ryan Garcia, he's gotta do it the PROPER way. 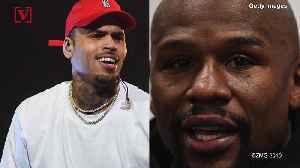 Oscar -- who..
Golden Boy Promotions has sent a cease-and-desist letter to Floyd Mayweather Jr. following Mayweather's offer of $200,000 to super featherweight Ryan Garcia if he can beat one of his fighters. Floyd Mayweather says he ain't mad at Tyga for trying to pull a gun at his birthday party over the weekend -- in fact, Floyd says the rapper will still be invited to the next big bash. We broke the..
Tyga got booted from Floyd Mayweather's birthday bash over 2 very common issues for the rapper -- money and the repo man. 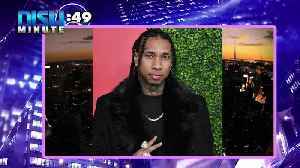 Witnesses inside the Sunset Room tell TMZ ... moments before Tyga got..
Boxing star Gervonta Davis is the subject of a police investigation after an alleged physical altercation with police, TMZ Sports has learned. Davis -- Floyd Mayweather's top protege -- was at an..
For the birthday bash, the 'Girls Trip' dazzles in a black silk gown which was fastened at the front part. 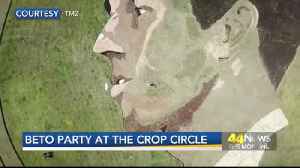 Before he became involved in a dispute with another attendee, the 'Rack City' hitmaker was celebrating the boxing legend's 42nd birthday at the Sunset Room. 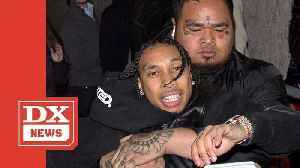 There was as much red carpet drama over Oscars weekend than in any of the films — when Kylie Jenner‘s ex, Tyga, was forcibly dragged out of boxing champ Floyd Mayweather‘s 42nd birthday bash on..
Tyga is being kicked out. 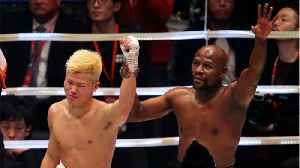 The 29-year-old Kyoto rapper was kicked out of Floyd Mayweather‘s birthday party on Saturday night (February 23) at Jadelle’s in Hollywood. PHOTOS: Check out the latest..
DURHAM — Celebrity appearances are nothing out of the ordinary for the Duke basketball team this season, with LeBron James and Jay-Z having been courtside for road games and Floyd Mayweather and NFL..
Floyd Mayweather is TRIPLING DOWN on Gucci ... rocking the brand from neck-to-toe -- but he ain't about to hear comments on the matter -- dude disabled 'em from his social media!!! Gucci has faced.. If Floyd Mayweather wants to do business with undefeated boxing star Ryan Garcia (17-0) ... he's gonna have to break out the checkbook!! 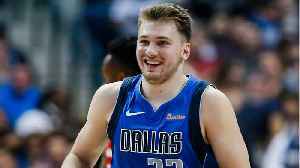 Garcia just watched our video where Floyd tells TMZ Sports he..
Zion Williamson has drawn praise from LeBron James and Steph Curry and Floyd Mayweather watched Duke's win Saturday night at Cameron Indoor Stadium. Floyd Mayweather is warning Ryan Garcia -- if the 20-year-old boxing star actually steps in the ring with Gervonta "Tank" Davis, "He's gonna get f*cked up." Garcia and Davis have been talking TRASH to..
Director/Editor Matt Alonzo Gives Up the Game to Content Creators, Filmmakers, and Videographers in a Hands-On Pop Up Class in Los Angeles Later this Month LOS ANGELES (PRWEB) February 16,..
ON TODAY'S SHOW 21 Savage: Faces New Felony Charge T.I. Drops Floyd Mayweather Diss Track Cardi B & Offset: Freaky Valentine's Day Ja Rule: Fyre Festival Part II? Floyd Mayweather will STILL not give up his Gucci -- in fact, he rocked one of his expensive Gucci jackets on his jet Thursday night ... despite being trashed by stars like 50 Cent and T.I. 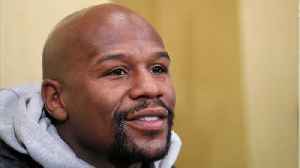 The attacks..
Floyd Mayweather says the exhibition fight business will be VERY good to him in 2019 -- with 4 or 5 bouts lined up this year, which will pay him around $80 MILLION!!! Remember, Floyd says he got $9 mil..
T.I. is ripping Floyd Mayweather a new one with a blistering diss track where he calls the boxing champ a "f**k n**ga" for continuing to spend his millions at Gucci. 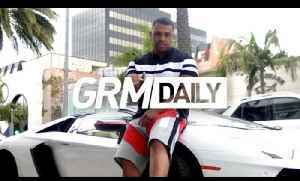 Tip dropped the song Thursday and,.. The spitter posts a photo of Floyd which is edited to look like the controversial turtleneck from the famous brand that had been pulled out from the stores. 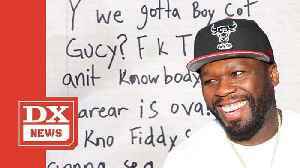 50 Cent is going scorched Earth on Floyd Mayweather -- repeatedly blasting the boxer for undermining the Gucci blackface boycott ... and it's getting personal. 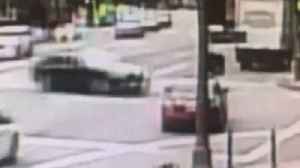 Of course, Mayweather publicly flouted..
Vuuzle Media Corp announced their newest technology using secrete optronic equipment that organizes our visual web in 3D on all smart mobile phones, computers, TV and smart devices. LAS VEGAS..
Tim Sutton’s “Donnybrook” is like getting wasted on expired beer at a bar with no liquor license, fighting three strangers in a parking lot, and passing out in a pool of vomit — which may or.. Sounds like Floyd Mayweather wants to be the next big sports agent -- and he's already making his pitch to sign future NBA superstar Zion Williamson. Floyd already runs Mayweather Promotions -- and..
Floyd Mayweather says he doesn't give a DAMN about the Gucci boycott -- telling TMZ Sports no one tells him what to do or what to buy ... and that's why he dropped a FORTUNE at the store last night. .. Here's another gross display of wealth by Floyd Mayweather -- who's poor-shaming his followers by drinking out of a gold chalice while wearing a TON of diamond necklaces and bracelets. Oh, he's also..
You barely EVER see a Mayweather get knocked down in a boxing ring -- but that's what happened when Floyd's 66-year-old dad strapped on the gloves this week ... and it was all caught on video. Floyd..
Floyd Mayweather says he could get a 10-FIGURE CHECK from the UFC ... if he told Dana White he wanted a deal to fight in the octagon right now. Yeah ... that's $1 BILLION. 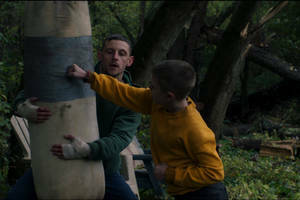 The legendary boxer made the..